Iron Fish claims to be a "psychological deep-sea thriller". They might as well have called it Game Phil Will Never Play. Maybe you, dear reader, aren't innately terrified of inhospitable nightmare worlds, or the deadly gelatinous animals that dwell within them. * If that's the case, then you can probably make it through this announcement trailer without wanting to cry all of the water out of your body. 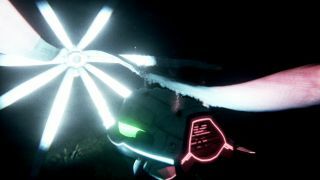 The game will challenge players to go exploring the depths. As the official site's About page puts it, "seven miles under the surface is dangerous territory for humans, especially when only five per cent of Earth’s oceans have been explored so far." Iron Fish is due out at the end of the year. *Seriously, what the hell is with jellyfish? They don't have brains. And they were proper shits in Ecco the Dolphin.